WELCOME TO PENNY DOLAN'S WEB SITE! *Great news! A BOY CALLED M.O.U.S.E, my big, big, big new novel for 9 to 12 year old readers, is now out in paperback with this brilliant new cover. The book is published by Bloomsbury and illustrated by Peter Bailey. I love this new cover image as it shows brave bold Mouse high above the streets of the city, at the start of his adventures backstage in the world of the Victorian theatre. Even more good news! 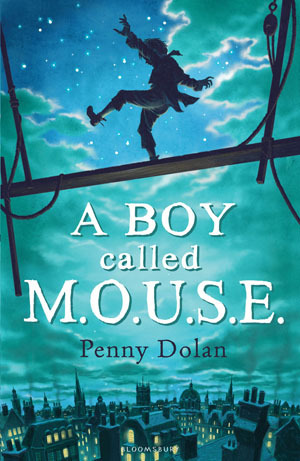 A BOY CALLED M.O.U.S.E has been short-listed for the Historical Associations Young Quills Award! * THAT NOISE! and THE WRONG HOUSE, two more early reader picture books, have recently been published by Franklin Watts. * IN THE DEEP DARK FOREST, MRS BOOTLE'S BOOTS, FLORENCE & THE DRUMMER BOY, THE PIED PIPER, LITTLE RED HEN, HANSEL AND GRETEL, THE APPLE TREE ALIEN, AT THE END OF THE GARDEN, MR BABBIT'S RABBIT, LITTLE TROLL, BIG BAD BLOB, QUEEN ROSIE, MISS POLLY'S SEASIDE BROLLY, and RED RIDING HOOD RAP are among my other Franklin Watts titles. *"CARLO'S CIRCUS", my first quartet for Wayland’s Start Reading books includes JOEY THE JUGGLER, LOLA FANOLA, BIP AND BOP and PRINCESS RANI. *“FOREST FAMILY”, my 2009 Start Reading quartet, includes DANGER IN THE FOREST, THE WINTER CAVE, WOLF IN THE WOODS & RUSHING RIVER. * SPIGGY RED is now out as an Evans Skylark title. Great for Year 4 readers. * ”BELL” appears in Stripes CHRISTMAS ANIMAL STORIES 2007 anthology. ”OOKALIK THE ARTIC HARE” is in Stripes WINTER TALES anthology 2008, while ”THE MOUSE’S TALE” appears in Stripes WINTER MAGIC anthology October 2009. The BBC, as part of its Darwin Centenary, showed JUST SO DARWIN, a series of short animations for children, which included three animation scripts by Penny Dolan. Series produced by Glasshead. THE THIRD ELEPHANT received a very warm review and recommendation from Kate Saunders on Radio 2's Sunday morning Aled Jones show. 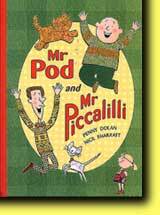 MR POD & MR PICCALILLI was shortlisted for the 2010 Coventry Inspiration Book Award in the “Never Too Young” category. Everyone needs a little help to follow their dreams. . .
and the world of the Asian elephant, and ending in the happiness of the glorious Divali celebrations. Written by Penny Dolan and illustrated by Helen Craig. 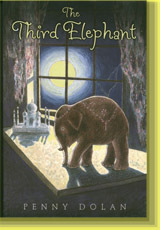 A Red House Children's Book Award 2003 "Pick of the Year"
Read the final tale in this acclaimed trilogy. 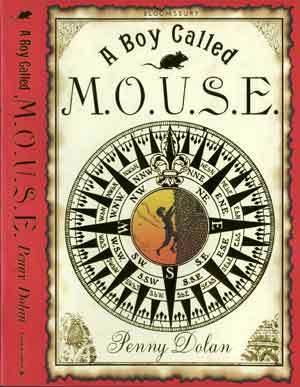 A Red House Children's Book Award 2004 "Pick of the Year". about friendship, cats and cake. Has Penny visited your school recently? Thank you for calling in at my website. Website created by Jim Dolan of "That Blasted Computer", Harrogate.